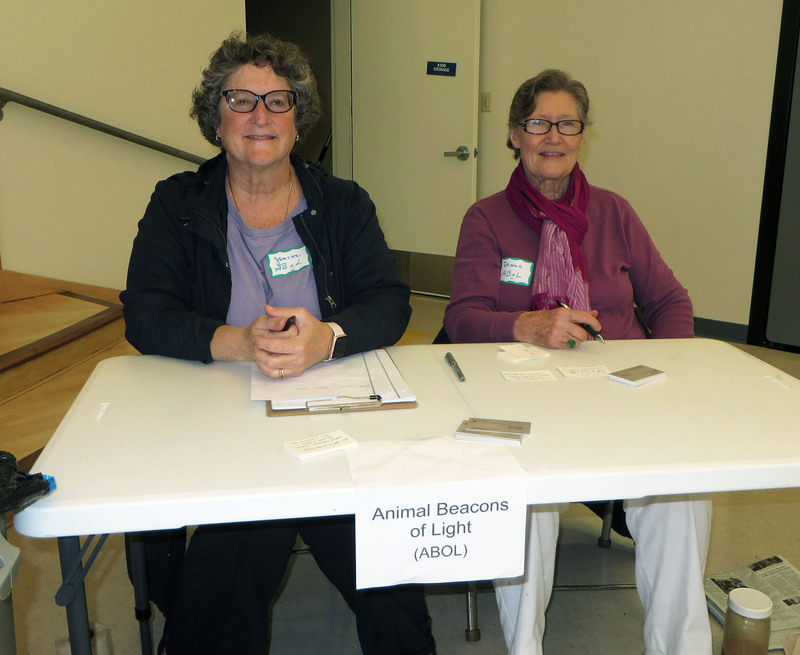 Maria Harnoto and Carolyn Len welcomed some early arrivals after the setup was completed. 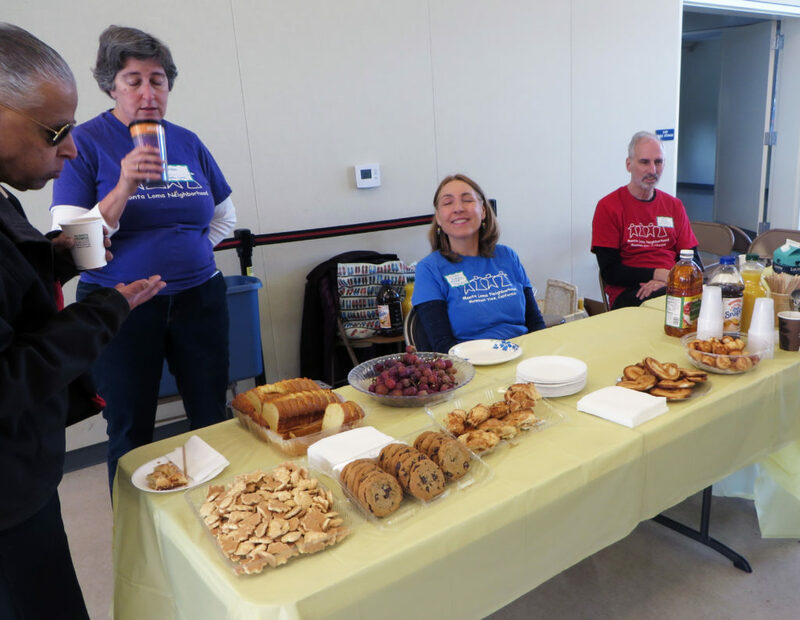 Linda and Pat Harvey had the refreshments table for the event’s 10:00 a.m. starting time. 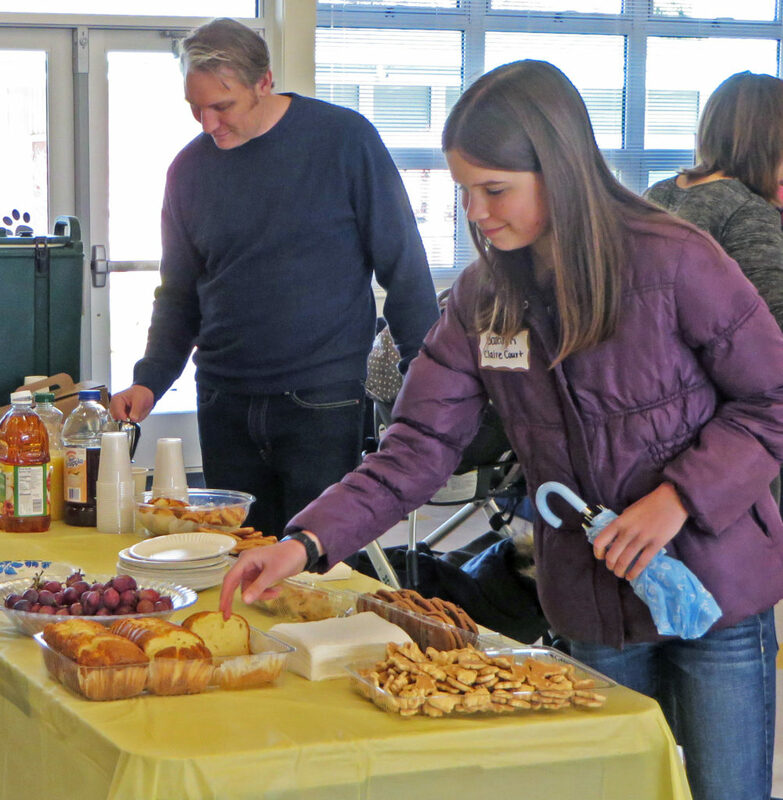 Adam Rakestraw and Sarah Kostka stopped there first. 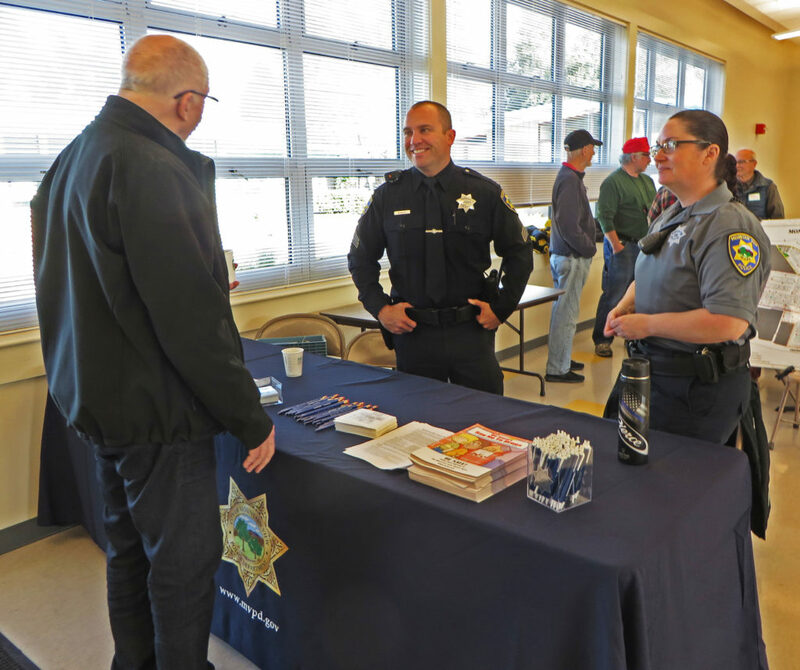 MVPD’s Sgt. 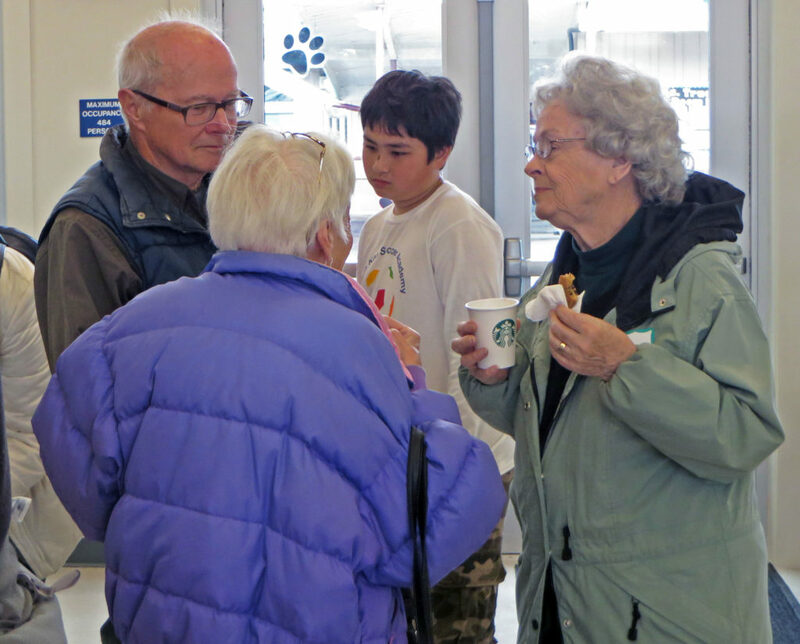 Magee and Community Services Officer Jodie Pierce chatted with Joel Orr. In back, someone examined the binder of early MLN history. 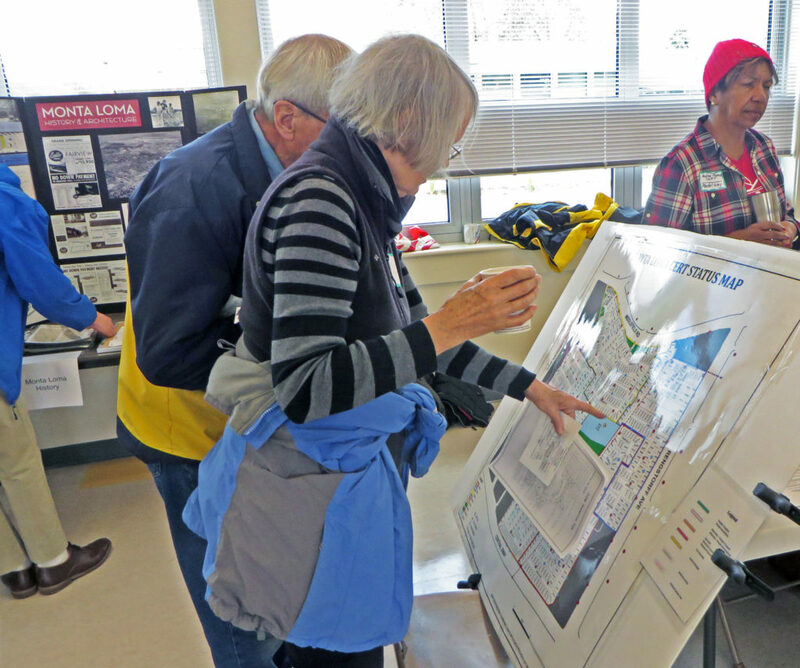 In front, others examined CERT’s map of our neighborhood. 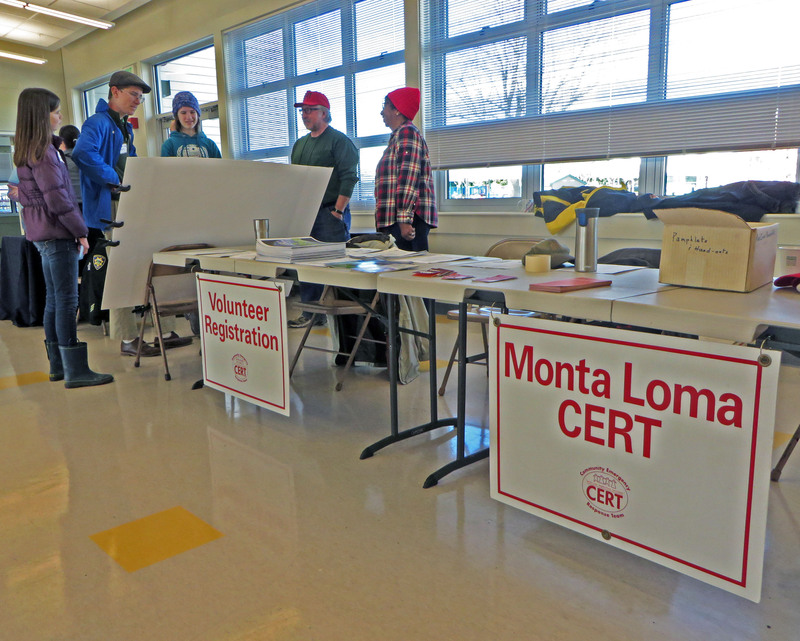 CERT (Community Emergency Response Team) members displayed preparedness information. Bill Lambert relaxed after delivering the coffee. 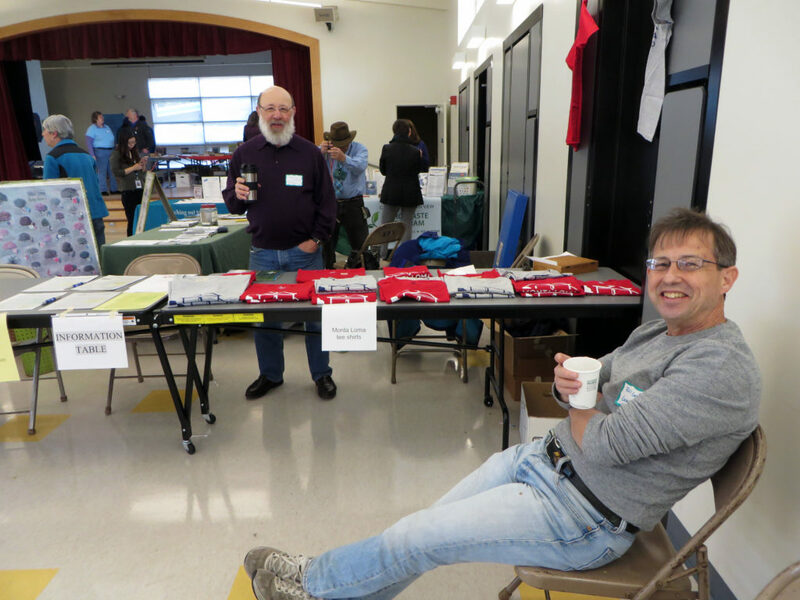 Marty Pulvers was ready to sell tee shirts while behind him, Ray Morneau set up the Mountain View Trees exhibit. 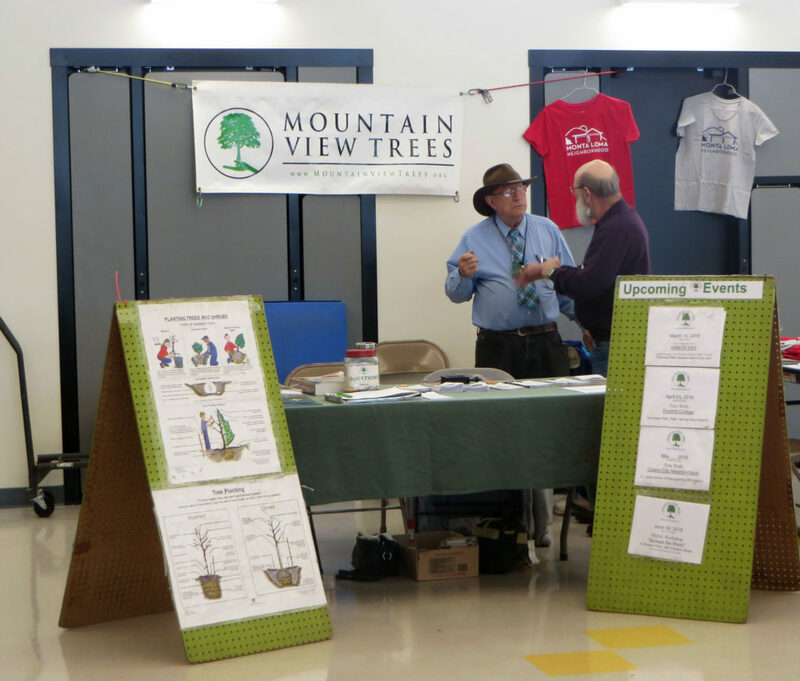 With the Mountain View Trees exhibit ready, Ray had time to chat with Marty while awaiting the event’s start time. 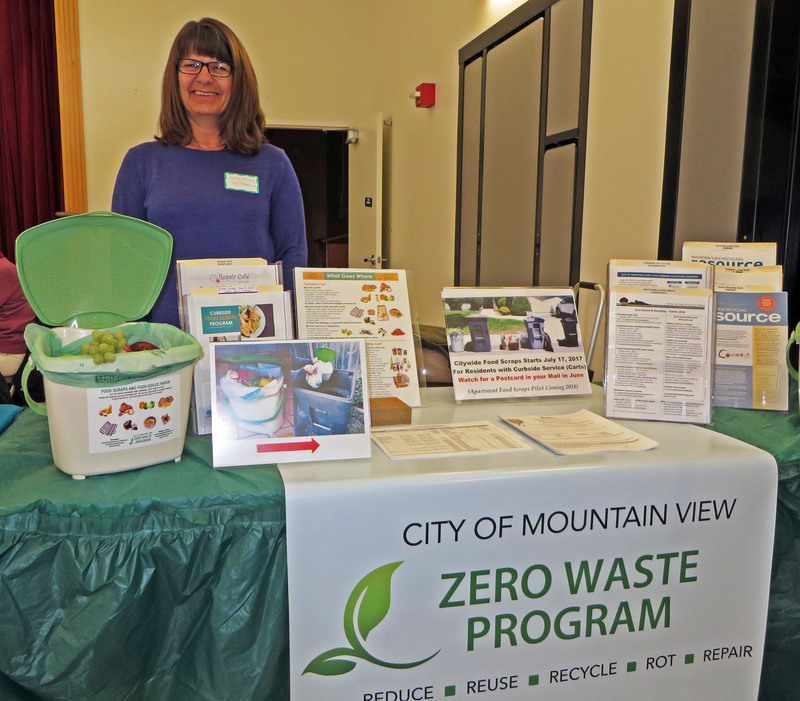 Janine McCurdy was ready to answer queries about the city’s food-scraps recycling program. 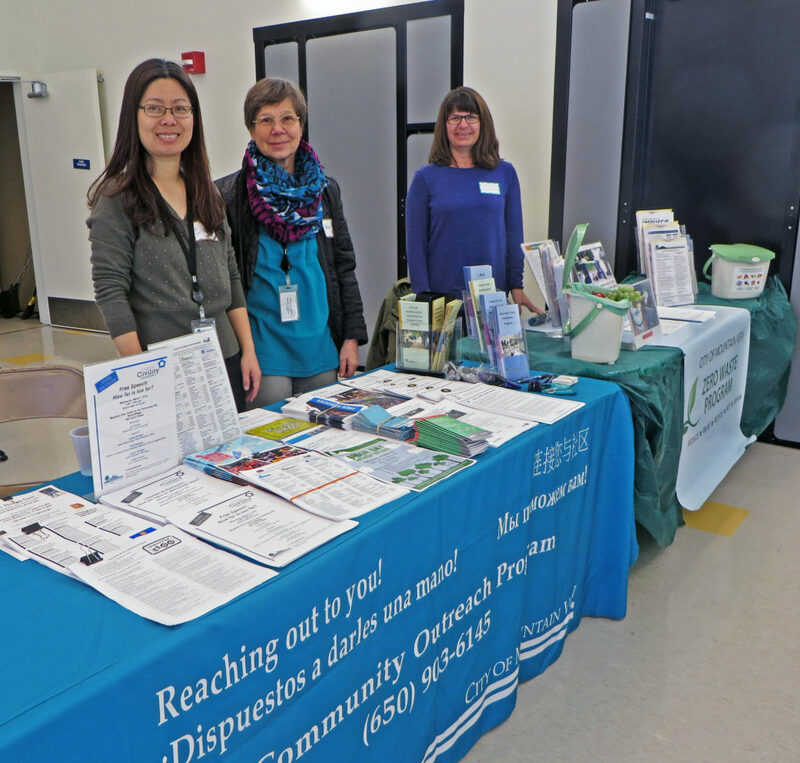 Eileen Li and Natasha Drosdova were ready to answer questions in several languages. 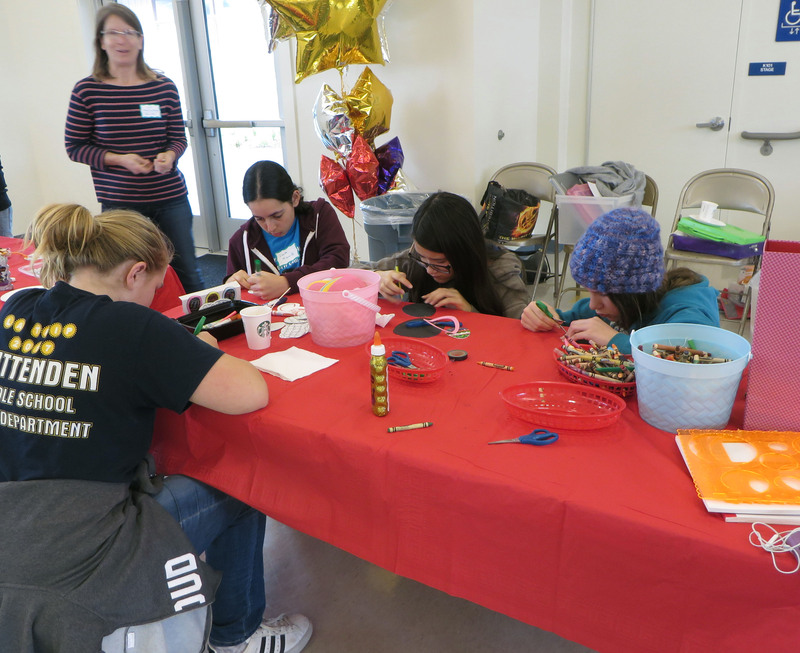 Jenise Dormann and Diane Ingalls were ready to accept stuffed animals for the Animals Beacons of Light project. 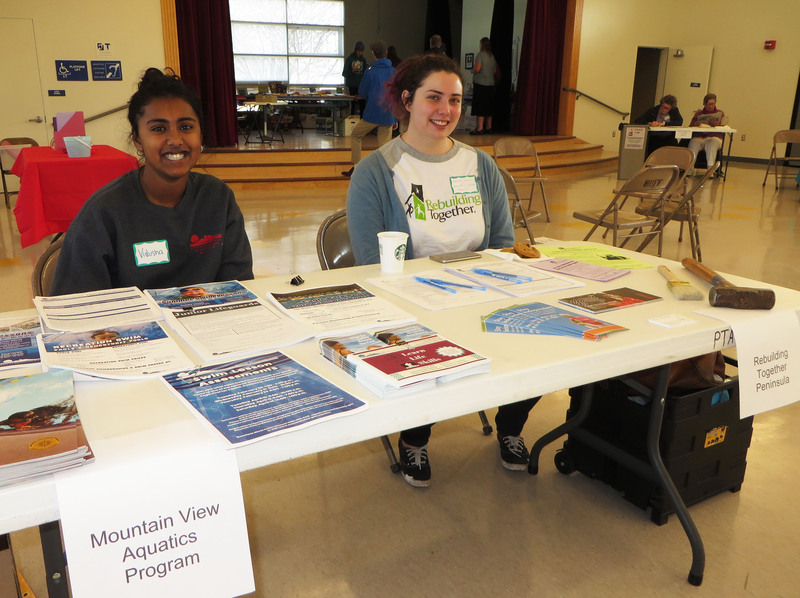 Vidusha Srivatsan offered information about the city’s aquatics program, and Virginia Johnson promoted Rebuilding Together Peninsula. 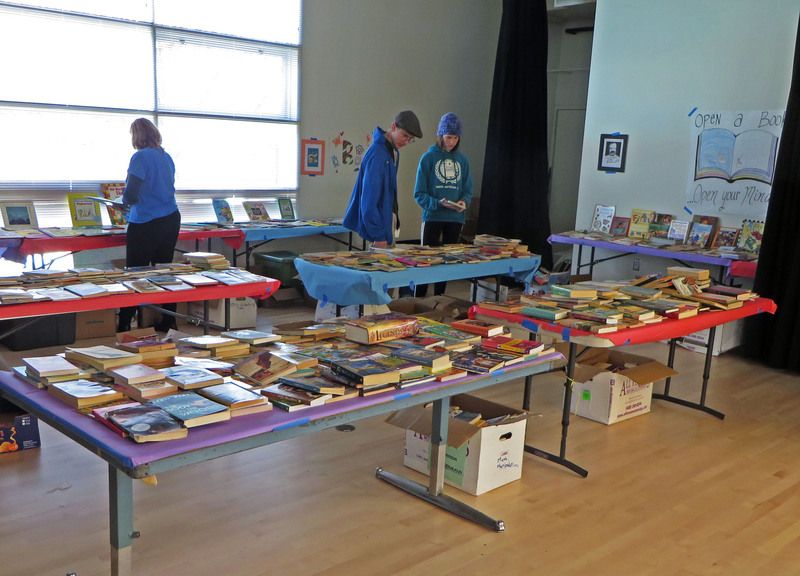 The PTA’s used-books sale was ready on the stage. 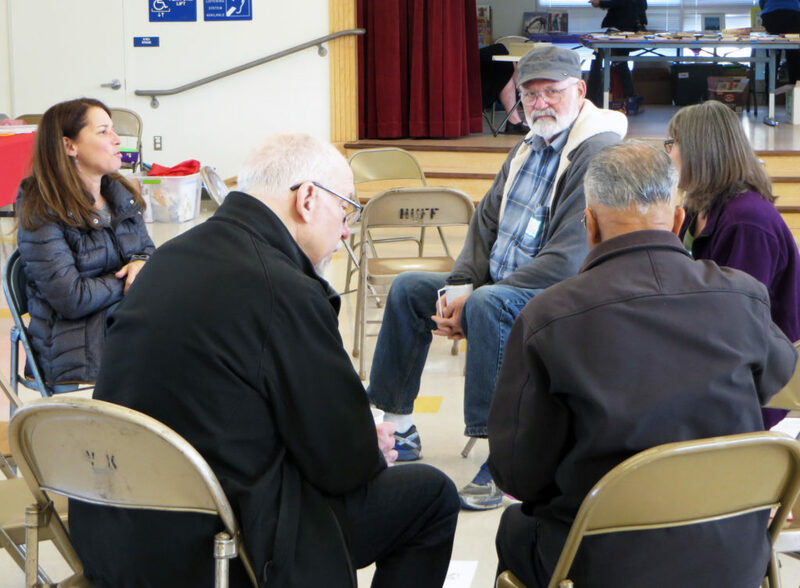 After an hour’s work setting up the tables and chairs, the set-up volunteers relaxed in one of the “sit and chat” circles of chairs. 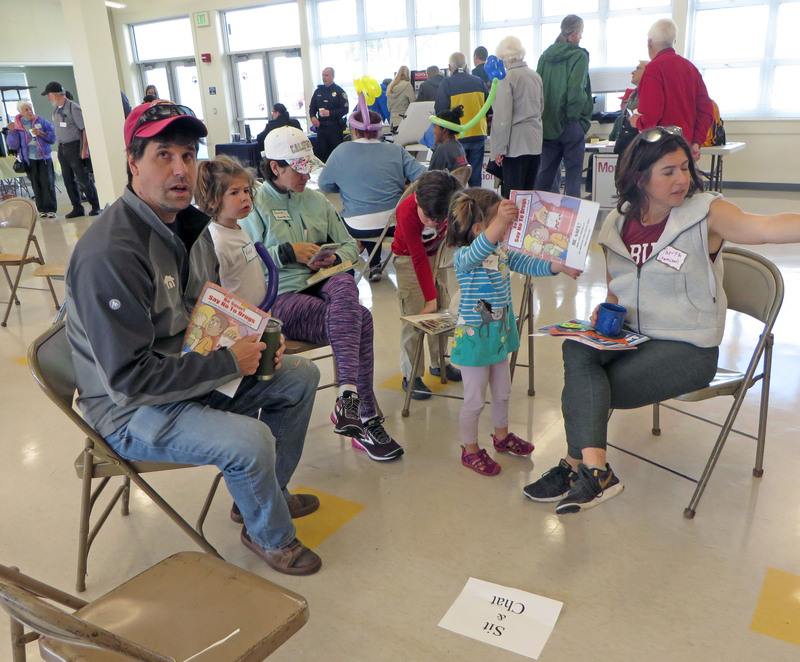 Some families also enjoyed the chance to sit and relax while examining their book purchases. 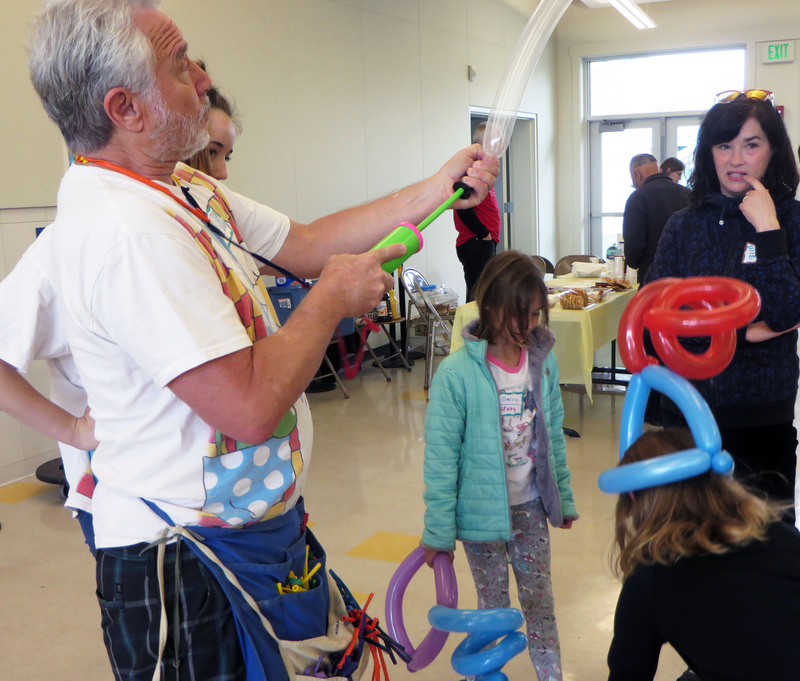 “Gizmo” Gary entertained with his balloon creations. 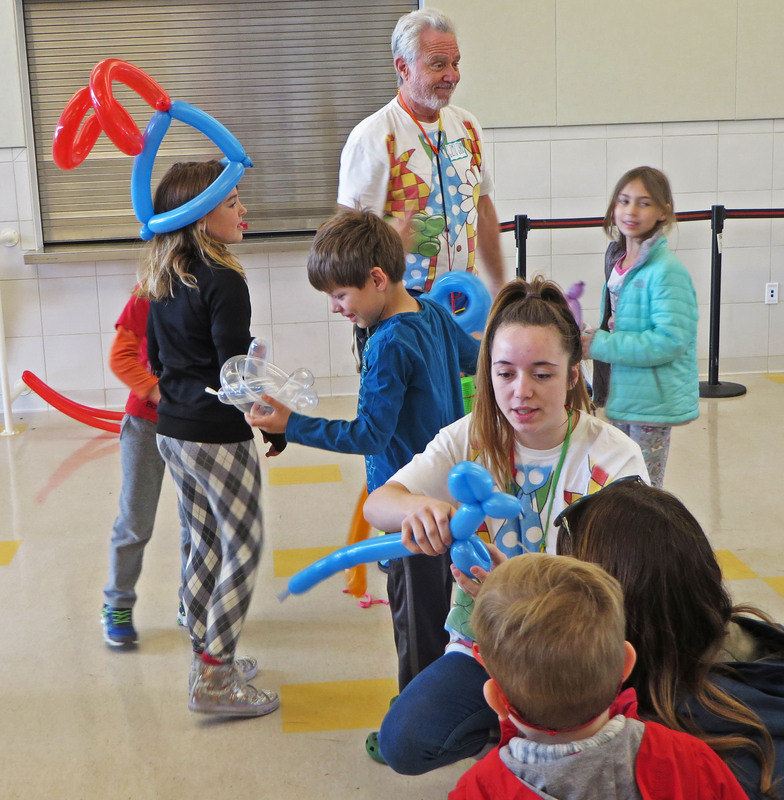 Gary’s daughter Tory, in matching shirt, helped with her own creations. 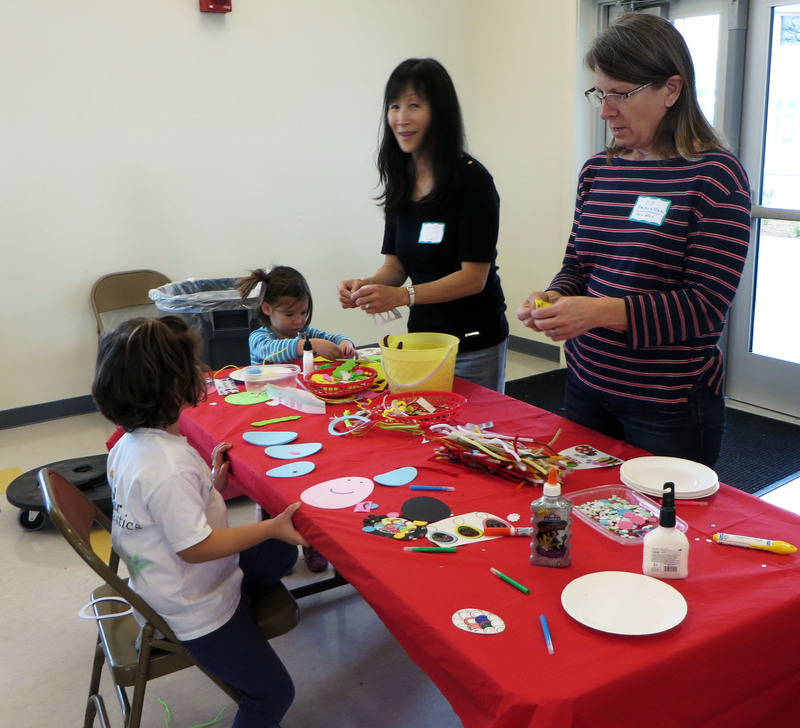 Mary Ann Girard helped Jill Rakestraw staff the kids’ craft tables. Having two crafts tables gave them plenty of room. 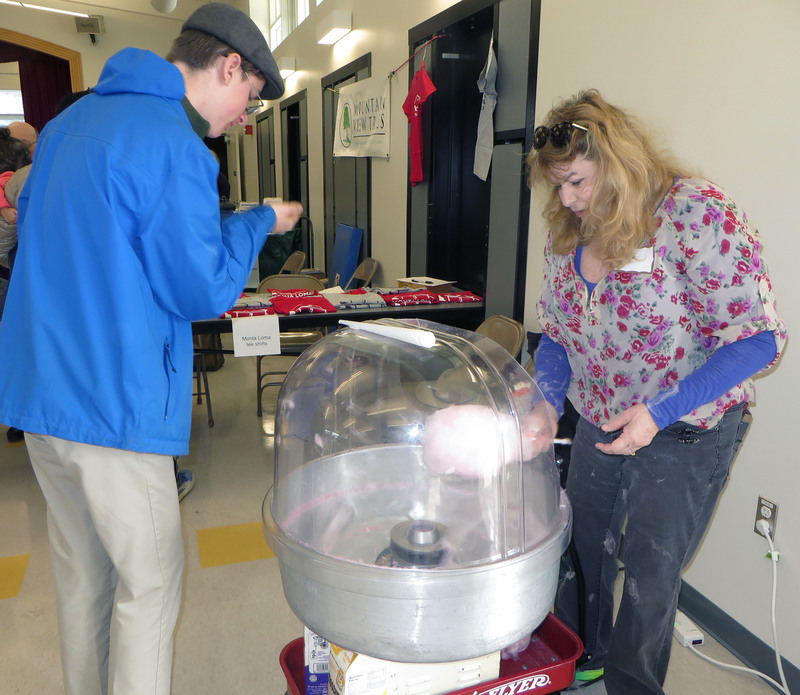 Gloria Jackson again provided cotton candy during the second hour. 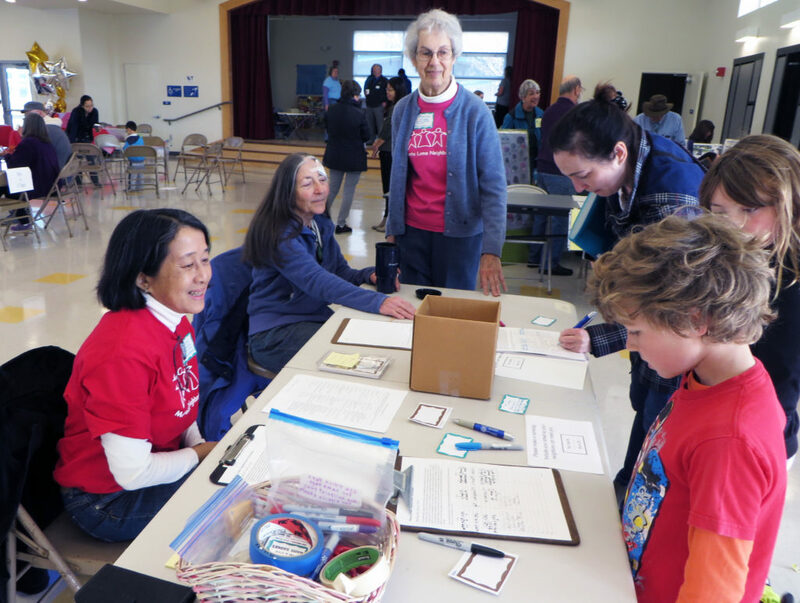 Sam Custer and Alice Cochran chatted with Joan MacDonald.